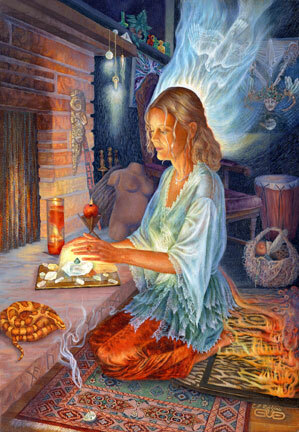 A healer is receiving energy from the source, with the aid of her totem spirit. She is transferring it over the miles to a person in need, whose photo is under the crystal. 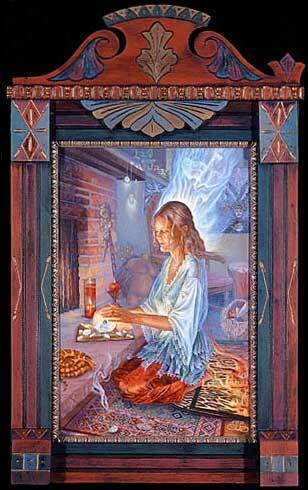 The candles, incense, and crystals surrounding the photo also add their healing power to this ritual.